There’s nothing more beautiful, more romantic and more emotional than a wedding – and here at Blue Water Weddings, we know this better than anyone. If you want your Big Day to be truly spectacular and unique, we highly recommend you consider a beach wedding – it will add so much to this special event in your life! How to pull it off, though? What are the best beach elements to bring into your wedding day? We have gathered some truly gorgeous and inspiring ideas for you – so read on and find out more. · The bouquet. If you want to feel unique as you walk down the aisle, think of a bouquet that incorporates the finest beach elements. Bright colors work amazingly well for an “exotic beach”-themed wedding, but incorporating small seashells or starfish into the bouquet can look absolutely stunning as well. · The dress. Want to feel like the true Queen of the Beach? Wear a dress that goes along with the casual and relaxing vibes of the Ocean. Airy dresses, gowns made solely out of lace and lightweight fabrics and even short beach dresses can all be amazing options for a beach bride. · The arrival. Want to make a grand entrance at your wedding? Rent a boat and come floating on the waves of love! This will make for a truly memorable moment and your guests will definitely love it! · The children. Planning to invite very young guests at your wedding? 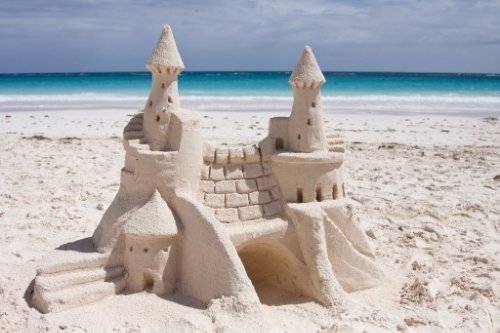 Keep them busy (and out of trouble) by giving them the important task of building the most fabulous sand castle ever! They will have tons of fun doing it! If you want a magical beach wedding in Florida Keys, don’t forget to contact Beach Water Weddings. We have years of experience in planning gorgeous events in the area and we can guarantee your wedding will be superb from all points of view! 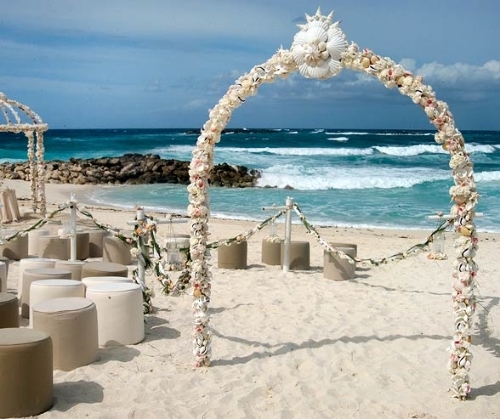 Give us a call and let’s talk about your dream beach wedding! Create a beautiful wedding “Thank You” note!